Shauna aims to provide a top quality professional service to all her clients. 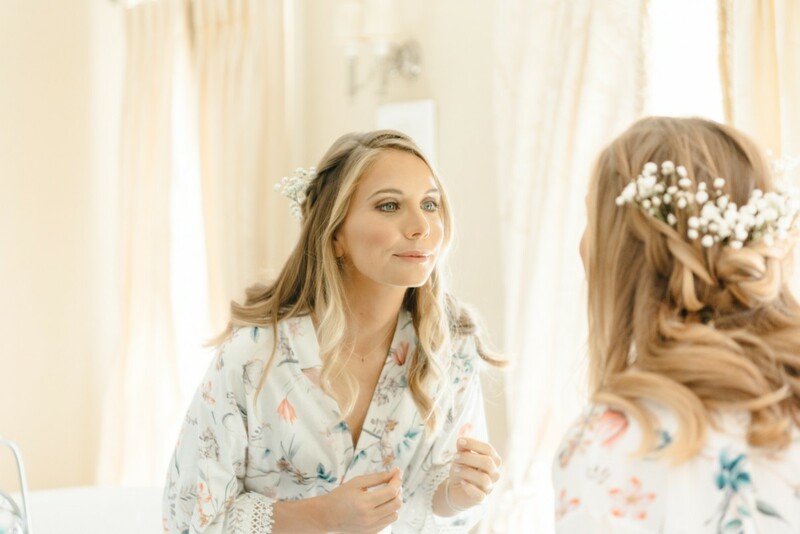 With a natural flair for creative up styling you will not be disappointed,she strives to be efficient and makes sure everything runs smoothly and calmly on your big day. 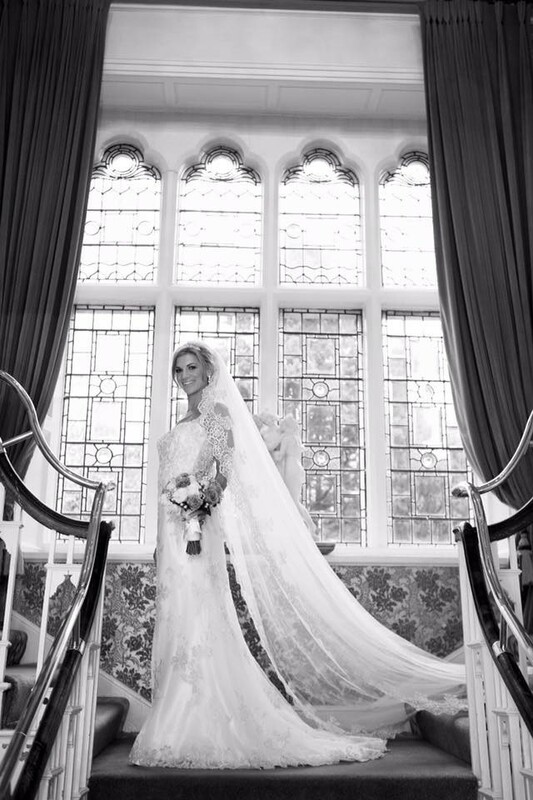 See a fabulous Real Wedding here! Shauna started her career and trained in Reds on Dawson Street, Dublin. She enjoyed working with lots of A list clients. During that time she got to work on the Presidential campaign in 1997 doing Adi Roche's Hair every day for 6 weeks traveling all over Ireland and loved every minute. Shauna went on to own two salons in Dublin and then decided after a few years freelance was what she is most passionate about. 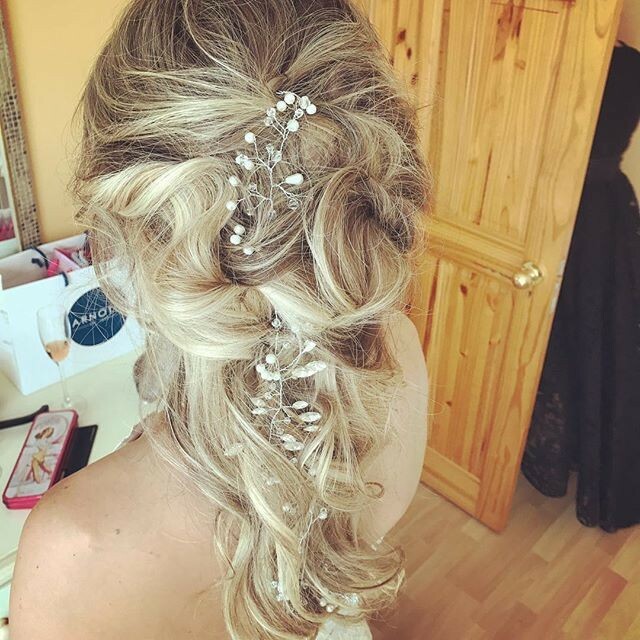 Hair by Shauna Lawlor Hair Stylists from Dublin servicing weddings throughout the local area including Cavan,Meath,Louth,Carlow,Wicklow. 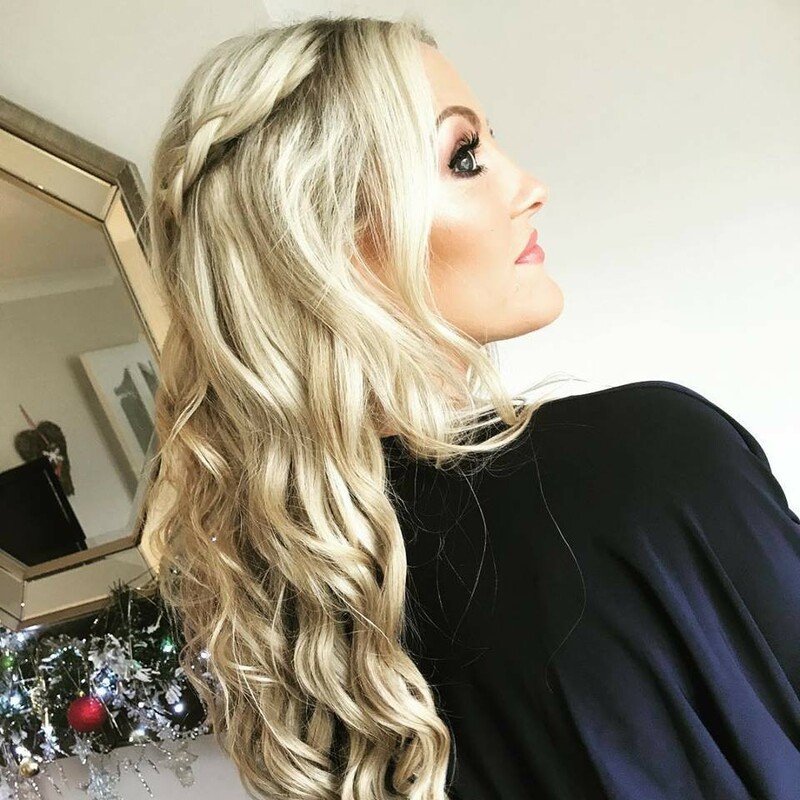 Hair by Shauna Lawlor brilliant Hair Stylists that has been part of the Hair Stylists industry 20 Years specialising in Wedding Hair, Upstyling. Shauna was amazing! I cannot thank her enough. She was so lovely from when I first inquired to the few minutes before we left for the church! I loved what she did for my wedding & even though I changed my mind a few weeks before the wedding she knew exactly what I wanted on the morning & it was amazing!! Such a nice person to have on the morning of the wedding too! I can not recommend her enough! 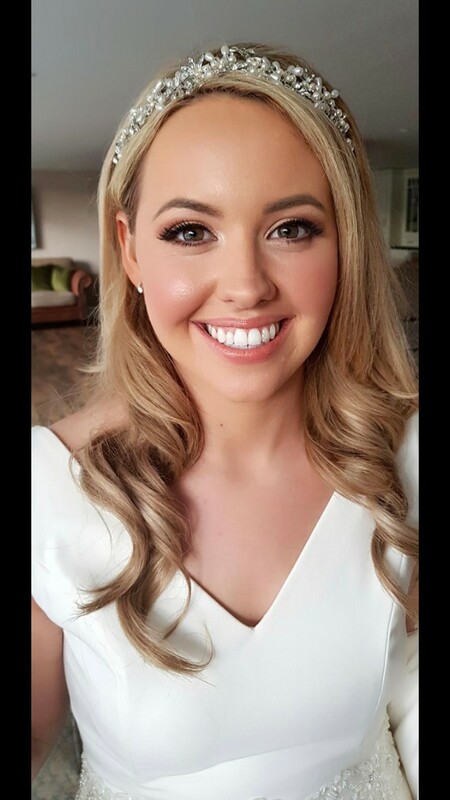 Shauna is such a talented bridal hair stylist.She is so professional & lovely & really listens to the bride in what she wants for her big day. Shauna goes above & beyond,she is so skilled & talented with such a fantastic personality to match. From the moment I met her for my trial to the morning of the wedding she was amazing.I loved my hair & everyone asked me who styled my hair for on Wedding day I got do many compliments. My bridesmaids & my Mother all were so happy with how their hair looked & We were all in agreeance that Shauna was super at what she does and an absolute pleasure to have had at the house the morning of the wedding. 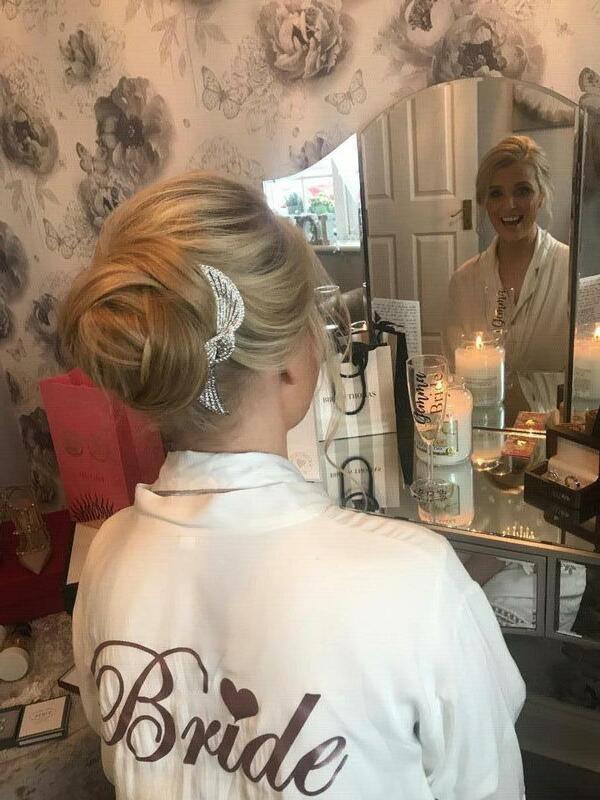 Any future bride would be so lucky to have Shauna look after her & her bridal party for their big day I wish I could do it all over again to have Shauna do My hair again I loved it!! I highly recommend her to any bride you will not be disappointed you couldn't get a better person to look after you & give you the bridal hair of dreams. Thank you Shauna for making my morning so special,giving us amazing upstyles,for all your help on the morning also & making me feel a million dollars!! I cannot recommend Shauna high enough. She is so kind, friendly and excellent at what she does. She welcomed and answered any queries I had by text in the run up to my wedding. 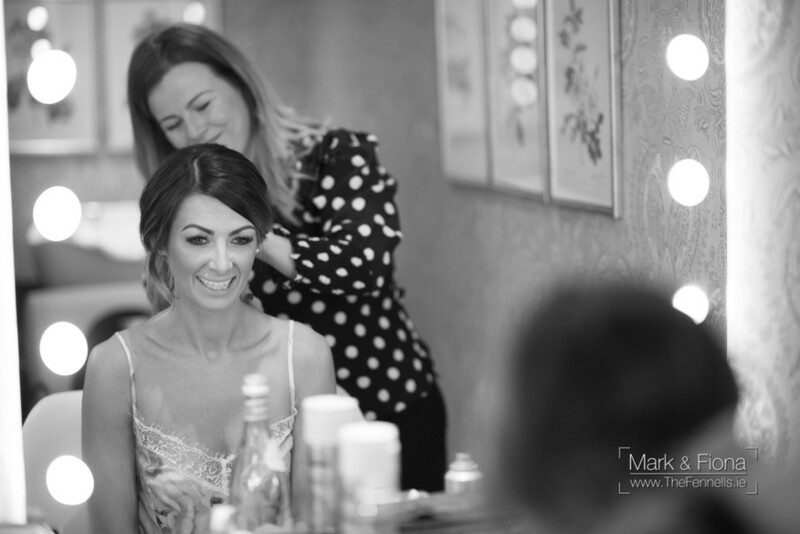 Shauna was patient and made the whole getting ready process fun and relaxed as I was very nervous! Thank you Shauna. Hi Shauna, Thank you for the lovely review. From the day I got Intouch with Shauna about booking her for my wedding she was so friendly, always professional and very personable. I still look back on how we had such a fun time together from my trail to the morning of the wedding. I was always impressed with her talent but what stood out to me was how well and effortlessly she fit into the morning of the wedding, it was like having a family friend there. I am forever greatful for meeting her and would recommend her services without a doubt. Shauna was fantastic and so professional. She really was a pleasure to have in the house the morning of the wedding and kept us all calm! Our hair styles were beautiful I would highly recommend her to any bride getting married. 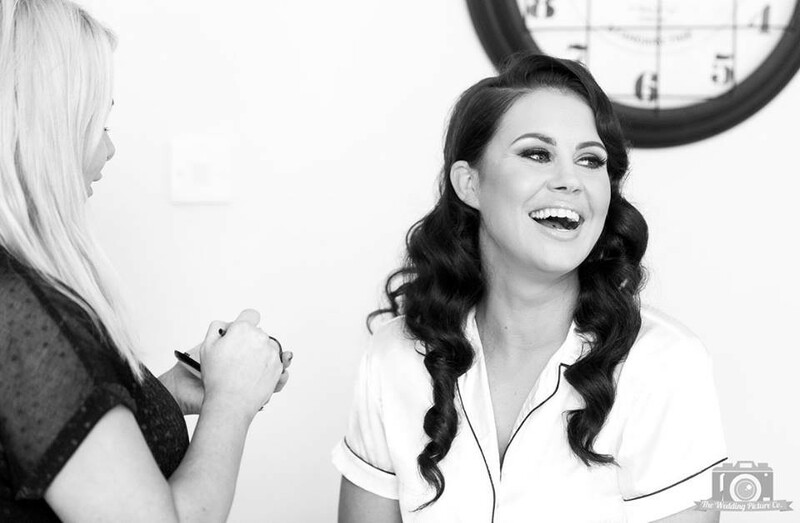 With her down to earth approach and listening skills Shauna made my whole wedding hair experience and easy one. From the first time we met I felt extremely comfortable and most importantly confident that Shauna would deliver what it was I wanted. 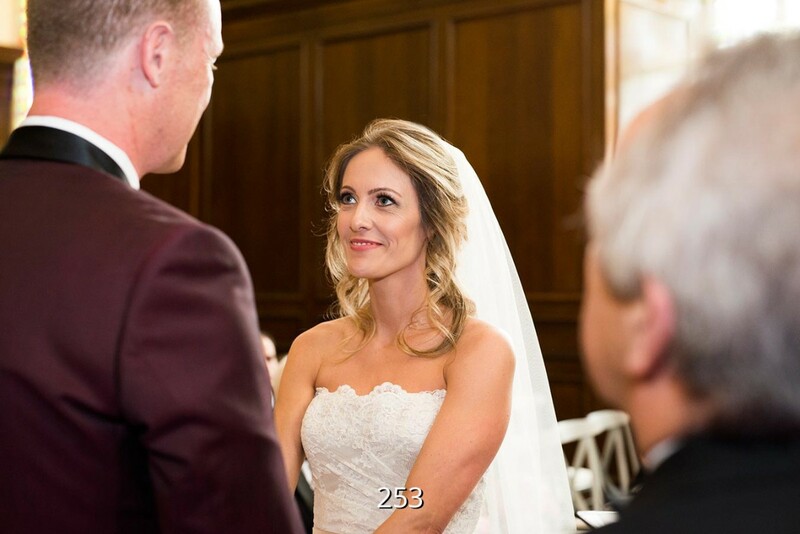 I had a very positive experience with Shauna from the moment I contacted her to the time she left my hotel room the day after the wedding…. Absolutely exceptional! She created a look for my hair that was identical to what wanted. My 2 bridesmaids and my Aunt were stunning too. She even came and did my hair again the next day at the hotel. Highly recommend!!! Hi Amie, Thanks so much for taking the time to do such a lovely review. You made my job very easy. Enjoy NewYork! Shauna. Shauna was excellent from start to finish. She was so easy to deal with and was always able to help offer advice. 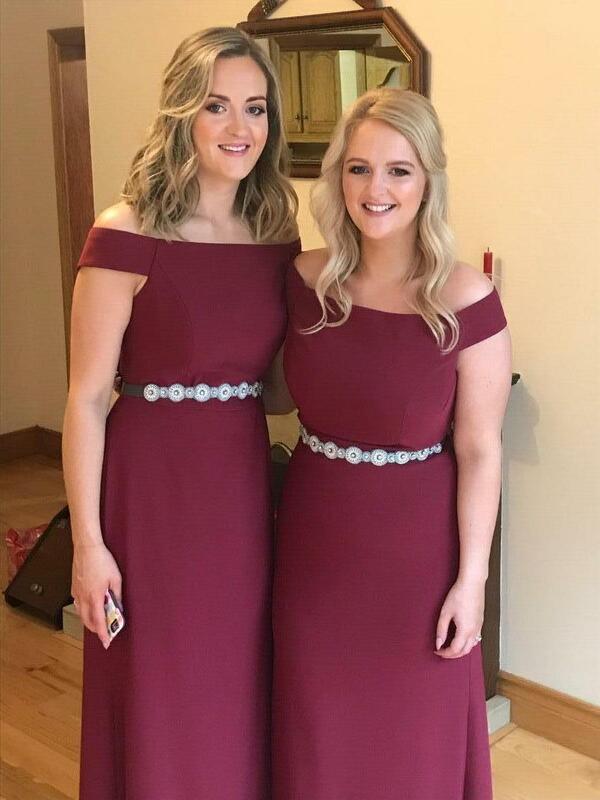 Not only did she do an outstanding job on our hair but she helped out so much on the morning of the wedding from helping fix last minute bits to comforting my mother in her emotional state :) I can't recommend Shauna enough. I was so happy with my hair on the day and I'm still getting compliments on it. She made my morning so relaxed and stress free. Professional throughout and an all round fabulous person! Shauna is amazing !!! 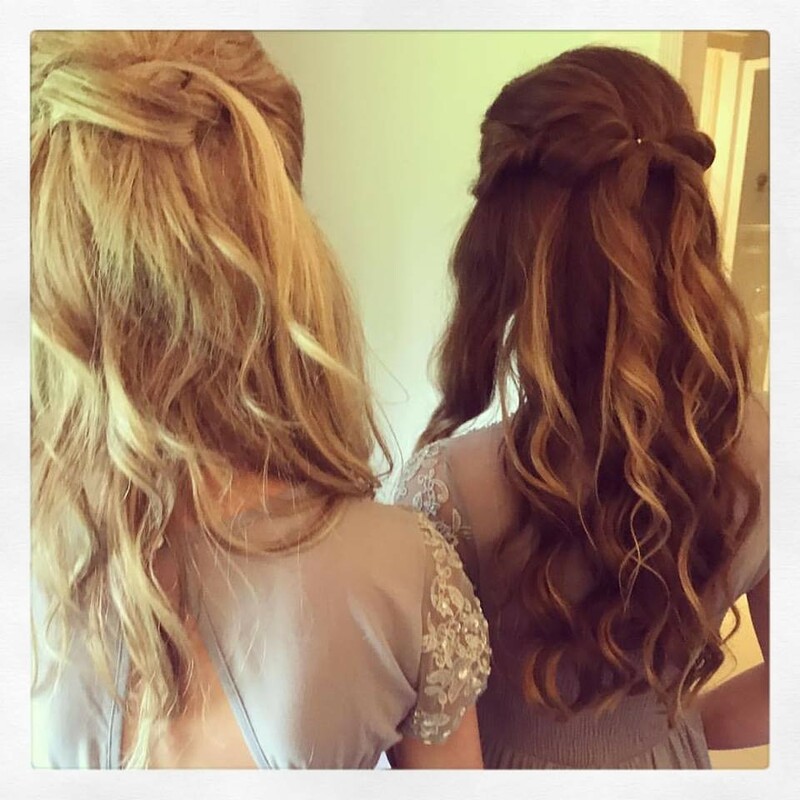 so relaxed and professional, from my hair trial to my wedding day she did a fantastic job on me and my bridesmaid. I would highly recommend Shauna to anyone. 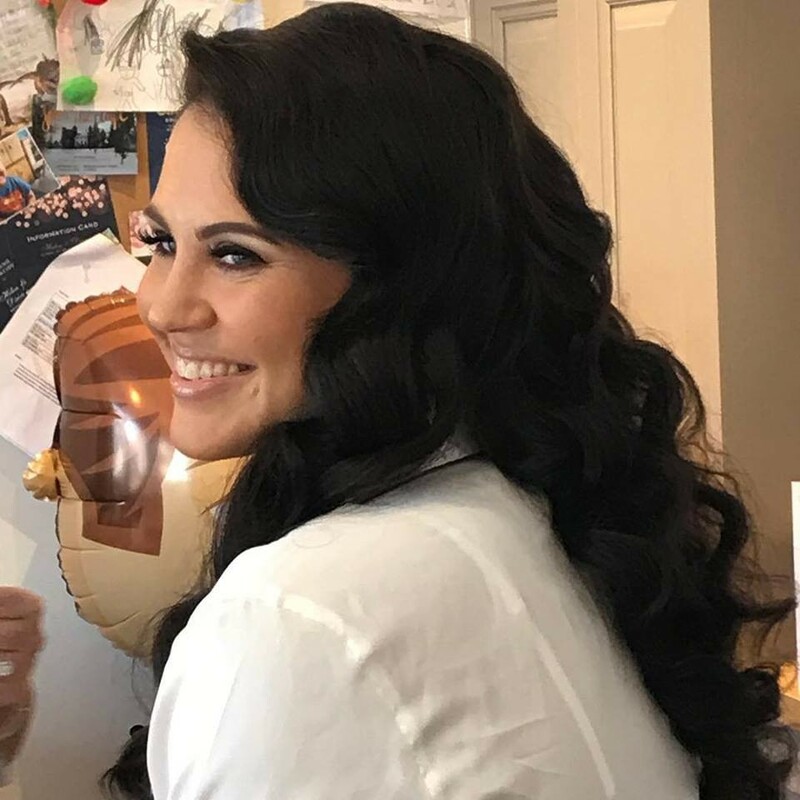 I had a fabulous experience for my hair & makeup trial. Shauna must have made notes of our consultation as I didn't need to remind her of any details. She did an amazing job on my hair (bride) and on my 2 sisters. She gave the illusion I have lots of hair! My hair remained as she had styled it until I had to take it down at 5.30 am! My sisters were delighted with their styles too? Everyone admired Shauna's work of art on our hair. Shauna & Celeine work so well together -they are a seamless package & I'm so glad I found them! I was a "mature" bride & they just went with the flow & we had such a laugh before the ceremony. Shauna & Celeine are very kind thoughtful professionals and I wish them well in their future careers, as I know they will go a long way, humbally. Thank you ladies for adding a memorable twist to the day! ??? 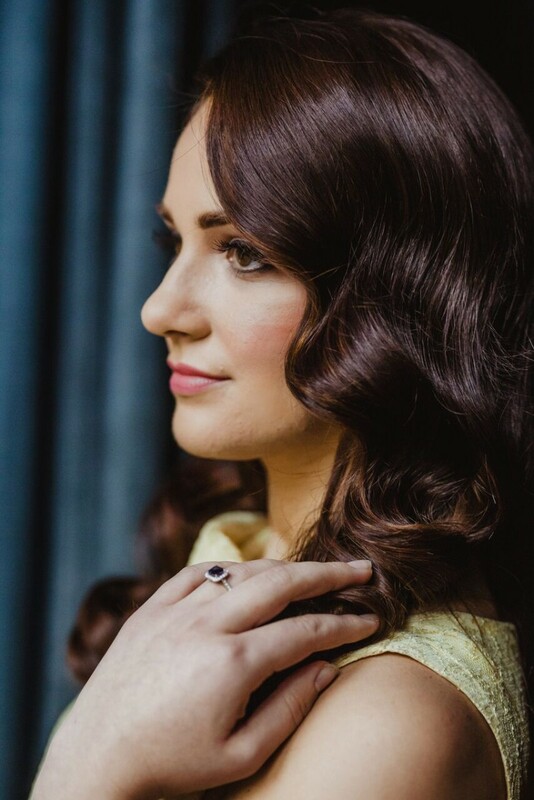 I couldn’t have been happier with my hair on my wedding day. Shauna was fantastic from start to finish and I got so many compliments on my hair on the day. During the morning preparations Shauna was amazing, so professional and helpful. 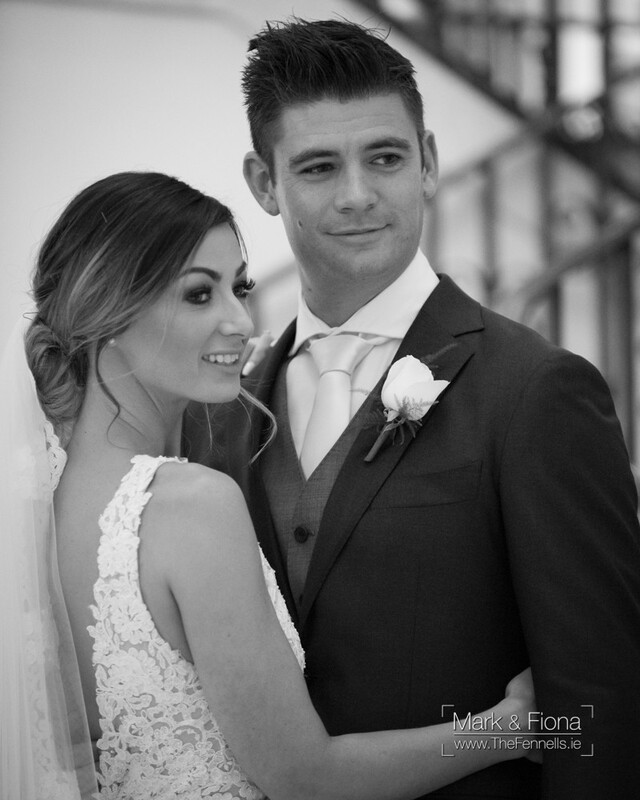 I wouldn’t hesitate to recommend Shauna to any bride to be. Shauna was a dream to work with from start to finish. From squeezing me in on a Sunday for a trial and for being willing to do as many people's hair on the day as I wanted - we got 7 in on the day without Shauna batting an eyelid! 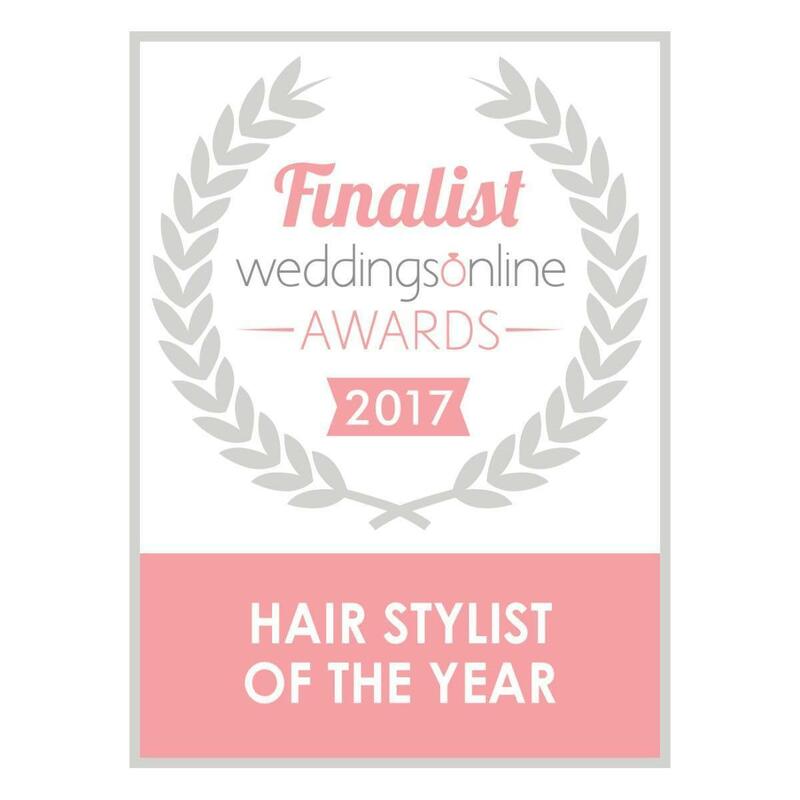 If you're looking for a flexible, easy going, calm, professional hair stylist for your bride squad, look no further! I knew from the moment I contacted Shauna we'd get on and the trial was effortless! She made getting ready so relaxing! 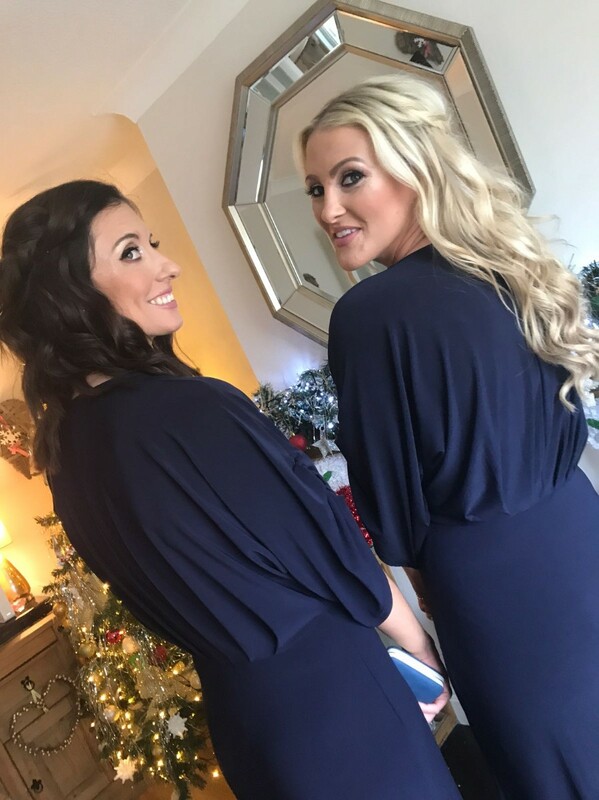 She's warm, friendly and so easy to chat to, I was delighted with my hair, as we're my bridesmaids and my mother in law. I'd highly recommend Shauna for any wedding or big occasion. Thanks so much Shauna for not only making me feel beautiful but also ensuring we had a fab start to the day. Shauna was amazing!! She was so fun to work with and did a wonderful job on the entire bridal parties hair! She kept us on schedule for the day and even stuck around right up until things kicked off to make sure my veil and hairstyle were perfect! I live in the United States and Shauna was so great about staying in contact and she was able to do style I asked for perfectly! She was such a pleasure to work with and all 10 of us were so happy with our hair! 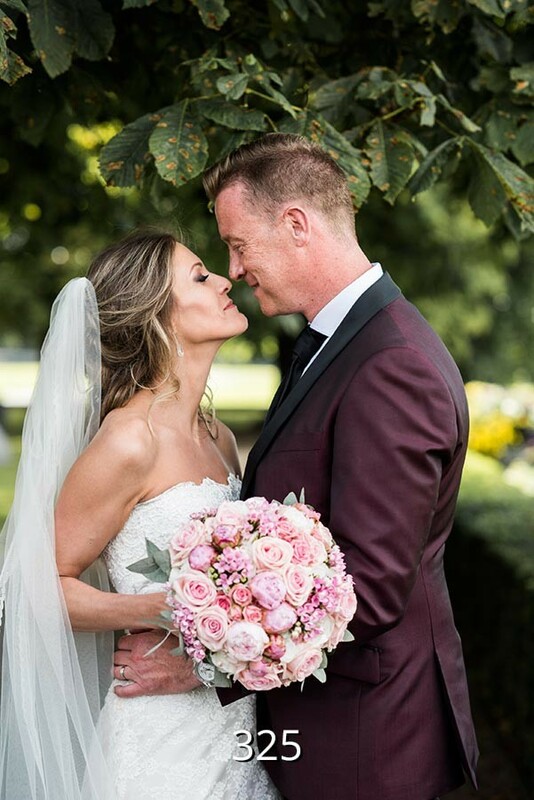 Shauna was one of the best decisions I made for our wedding this summer! We are based in the US and just made one trip to Ireland before the wedding and Shana was so flexible fitting me in for my trial. When I asked for a few changes after the trial she was incredibly open and responsive. My hair is tricky... there is A LOT of it, but on the day of the wedding it was truly perfect. I don’t know how she did it, but I loved it and got so many compliments on it. Shauna is also just the loveliest person and was great fun to have around while we were all getting ready before the wedding. I could not recommend working with her more strongly! 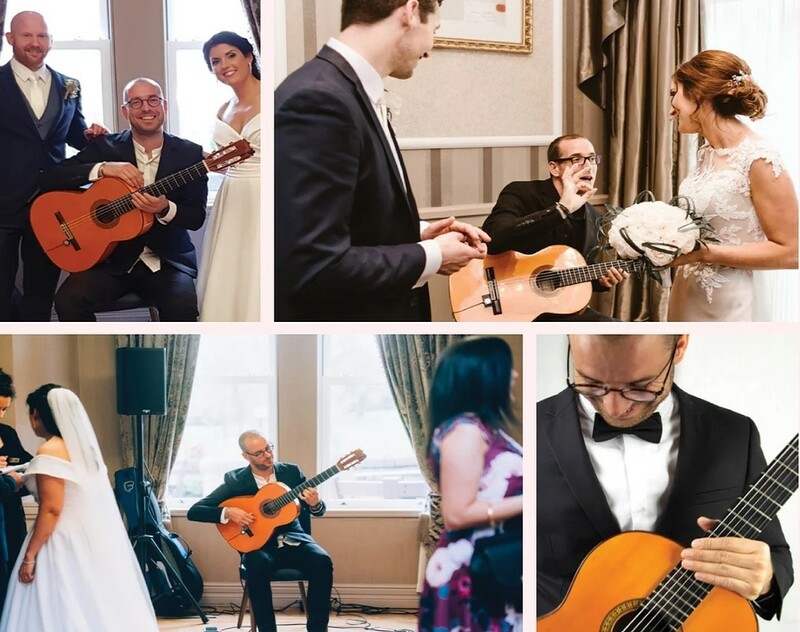 Made my wedding experience very special!! 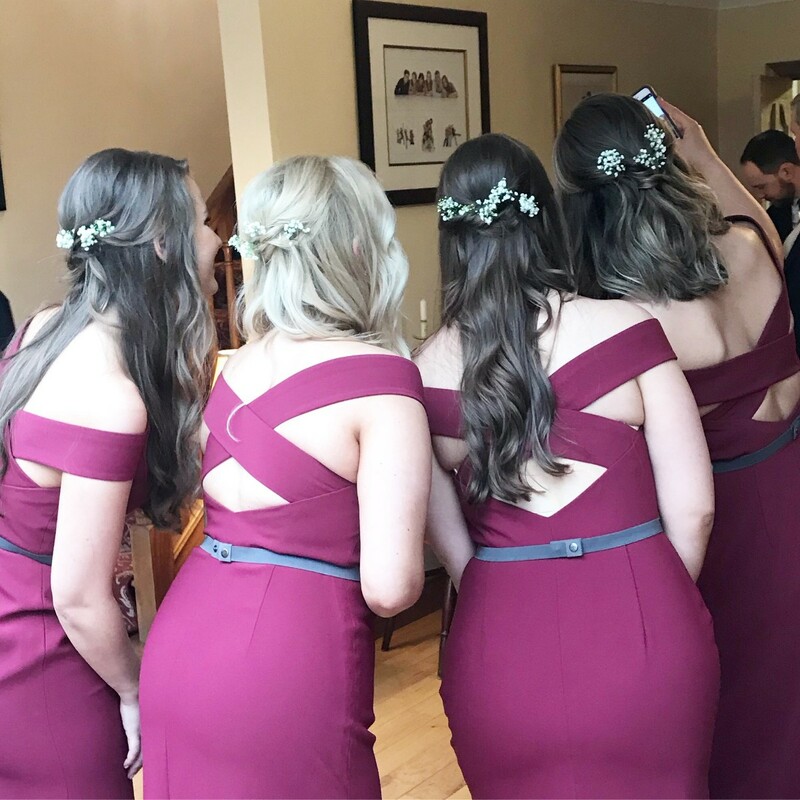 Shauna did the bridal party hair for our wedding & everyone was so happy with their hair on the day. 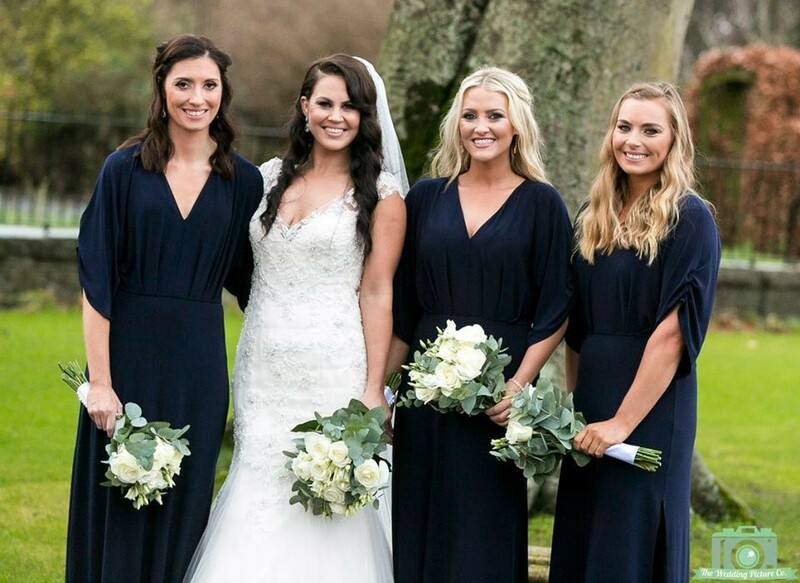 Bridesmaid only showed Shauna what she would like on the day & she absolutely nailed it. Our flower girl (3 years old) had never been to a hairdresser before and Shauna was so good with her. Both mothers looked stunning! My mother in law wanted to do her own hair but we convinced her to have it done with Shauna and honestly I had never seen her hair look so good. Shauna was so friendly & easy to deal with. She was so professional and just a really sound lady, the kind of person you want in the room on the morning of your wedding. Shauna was fantastic as the hair stylist for my wedding. 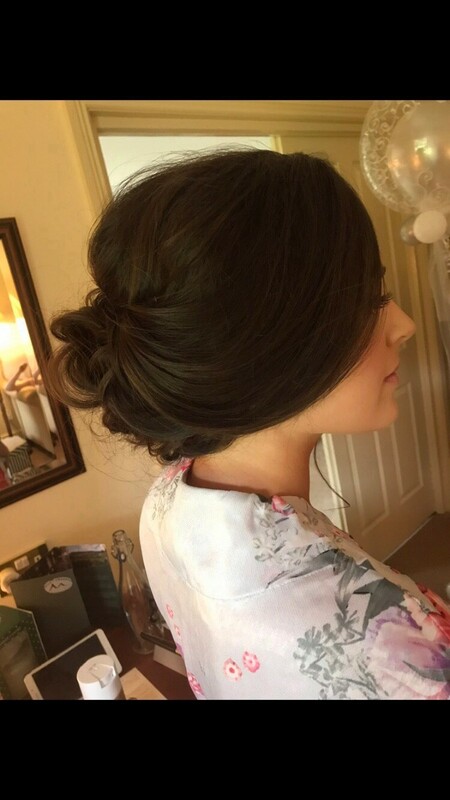 She was so easy to work with and very flexible when arranging my hair trial as I live in the UK and only had a very small number of available dates I could make it for. On the day of the wedding Shauna did a fantastic job on everyones hair. 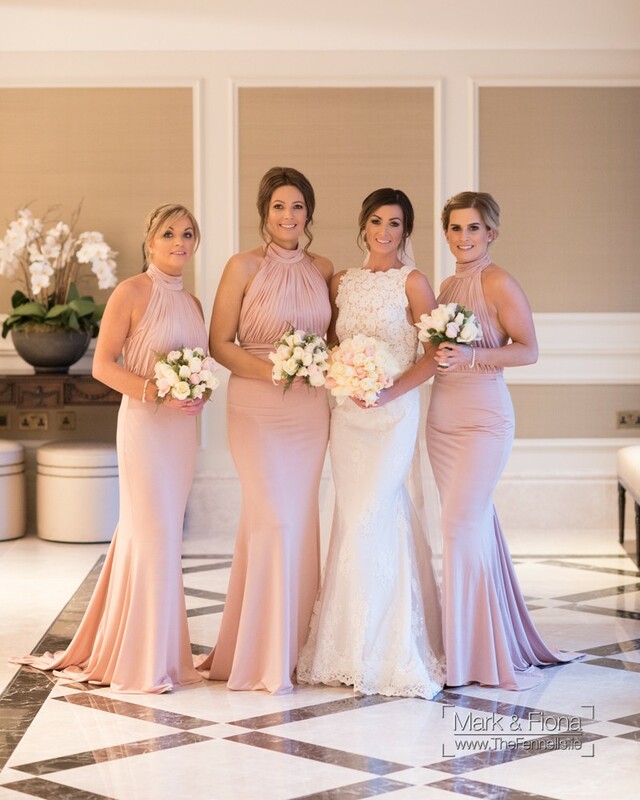 Myself and the bridesmaids all had completely different styles but they are looked fantastic. Shauna was so easy to get along with and I couldn't recommend her enough. 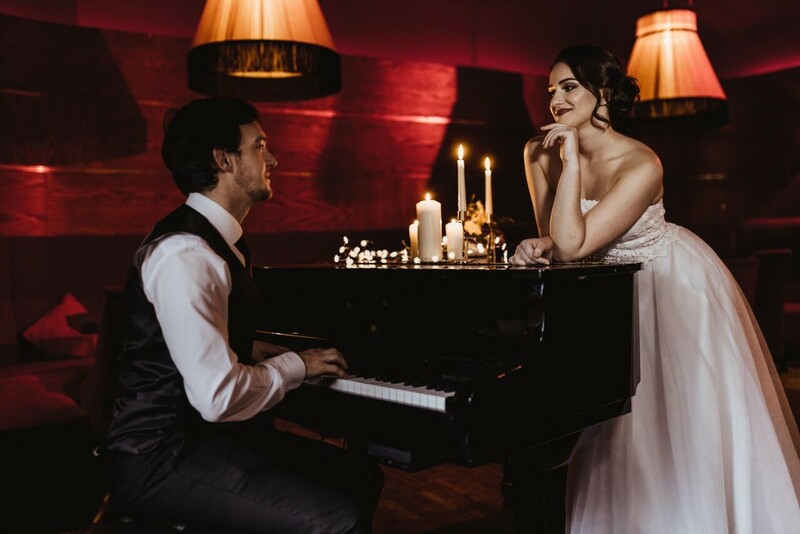 I contacted Shauna after reading fantastic reviews on Weddingsonline and I was definitely not disappointed! She has a way of making you feel so important and top priority. She was very flexible when my mam and bridesmaids also wanted a hair trial. On the morning of the wedding she arrived on time and made me feel so relaxed from the get go. I knew she would have everything under control and it really put me at ease. The final result spoke for itself. There is no denying Shauna is very talented at what she does and a true professional. She is truly deserving of all 5 stars! Thanks again for everything Shauna! 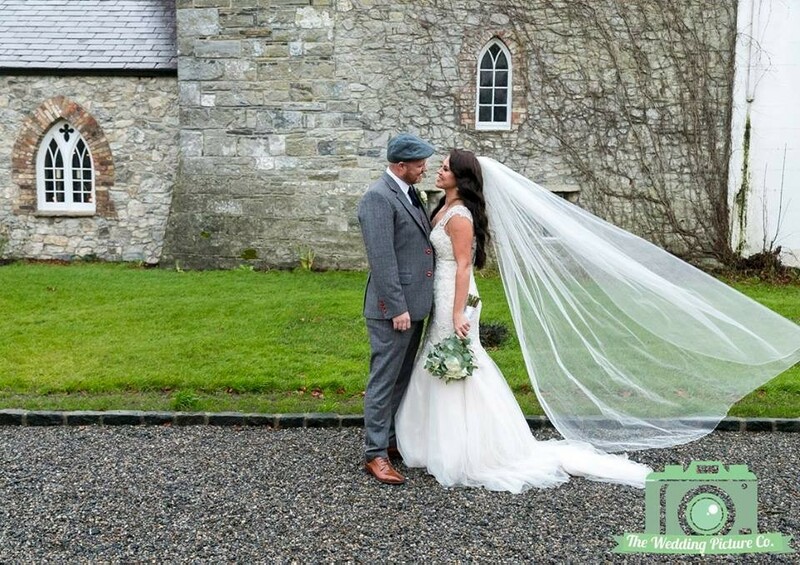 Shauna was amazing from the day I contacted her, the trial all the way to the wedding. I'm so fussy about my hair and she really listened to what I wanted and made it all happen so perfectly on the day. She was a pleasure to have with us on the morning and really helped with keeping me calm and excited at the same time. I've recommended Shauna to friends for their weddings and a couple managed to secure a free date with her. 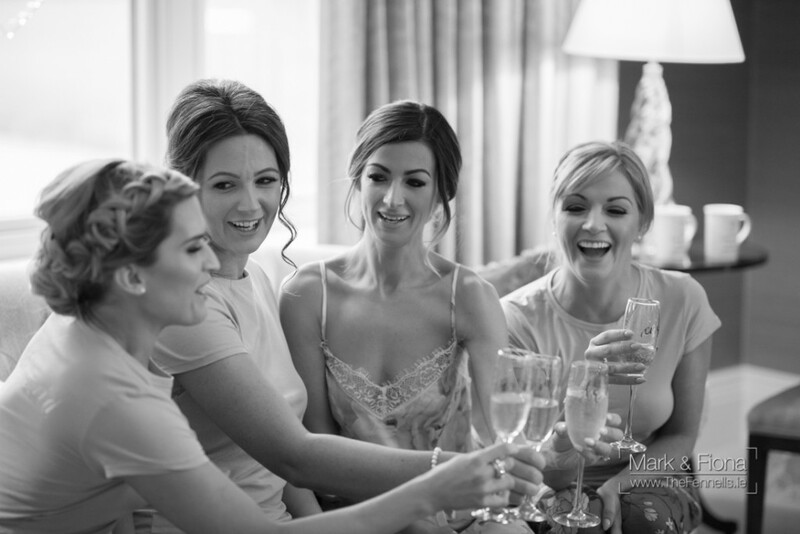 I booked Shauna for my wedding in April for myself, mother of the bride and four bridesmaids. 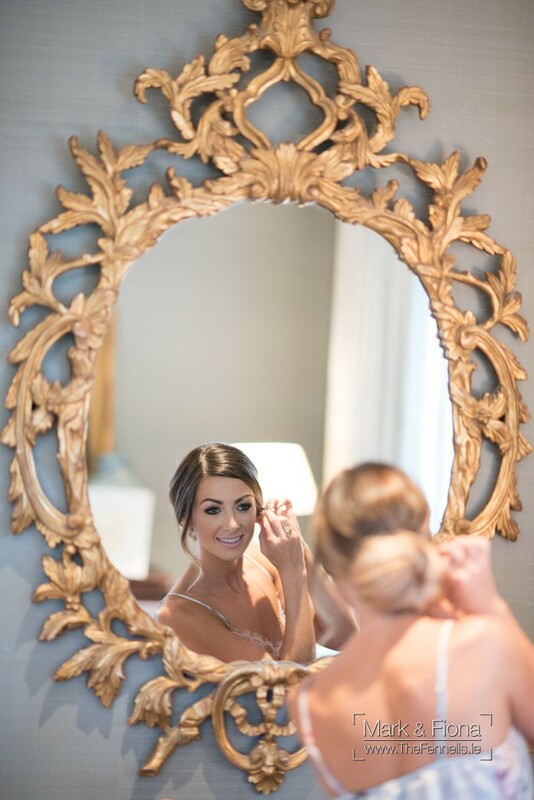 Shauna was a dream to work with from the time of enquiry right up to the morning of the wedding! She was always quick to reply to emails and was very reasonably priced. I was unsure of which style I wanted to go with so during my hair trial, Shauna allowed lots of time to try out different styles and help me decide on one. She arrived early on the morning of the wedding and was so calm and friendly to have around. We never felt we were being rushed at all but she managed to do all of our hair with lots of time to spare. She stayed with us until we were ready to leave for the church to ensure our hair was perfect. Our hair stayed exactly as they had been done all day and night - we couldn't have asked for better! Book her, you won't be disappointed! Shauna did hair for my wedding. It was for myself, my three bridesmaids, and my Mam. I found Shauna via weddingsonline and HIGM facebook page. I didn't know her before the wedding but her emails were very personal and she always replied to my questions. I met her at the trial and she was friendly and easy to talk to. 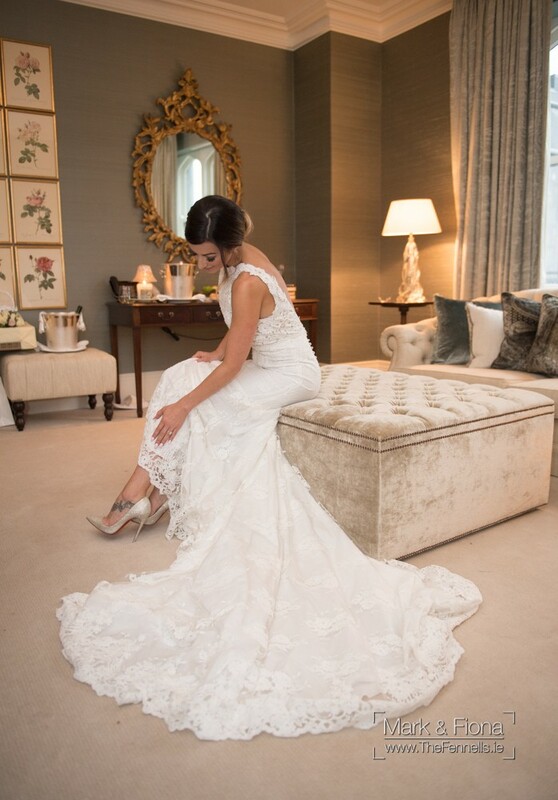 We communicated on the week of the wedding to check that everything was ok. On the morning of the wedding she arrived early and got straight into it. She was very calm and worked away without any fuss. We all looked fab and when she showed me my hair in the bathroom mirror, I was delighted. The shape was lovely. It actually reminded me of a love heart and my hair was really shiny too. She stayed with us all after she was finished to check all was ok. And even gave us a few tips about getting ready, timing and took some photos. Thanks Shauna and best wishes to you going forward. Jennie (and Rita, Annette, Olivia, and Frances). Shauna was professional and friendly from the moment I contacted her. The trial was great and she understoodd exactly what I wanted. On the morning of the wedding she was on time, calm and kept everyone happy. She was a great person to have around on the day and did a great job with everyone’s hair. 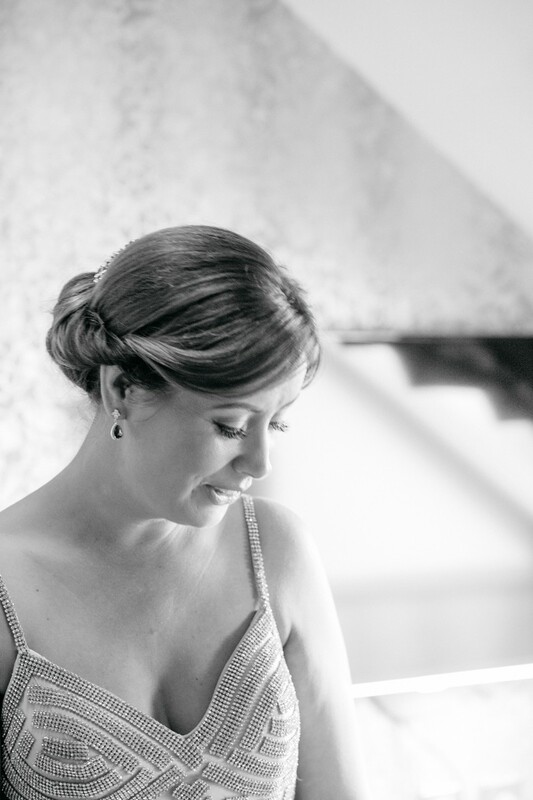 As a self confessed fussy bride I cannot recommend Shauna highly enough. She immediately put myself and my bridal party at ease from the start. She was so professional and made us feel very relaxed. Her attention to detail is undeniable. Just what this bridezilla needed...... Shauna is amazing at what she does and all future brides should consider her. I cannot thank you enough Shauna. Hi Shauna, Apologies for being so late, I wanted to reach out to you to thank you so much for everything you did the morning of the wedding. You were absolutely AMAZING!! You were so friendly and chatted to everyone and really added to the atmosphere that morning, everyone was so calm and relaxed. You worked so well with Serka the makeup girl, it was like the two of you had been working together for years, it was perfect. I absolutely loved my hair, everyone commented on how beautiful it was. When the photographer arrived, things got a bit crazy and time got away from us, the girls have told me that you jumped in to see if anyone needed any help, and I seriously can not thank you enough for that! One of my last memories that morning was you helping me into my dress, my nerves were starting to kick in, but you were so calm and it really helped me to relax too. It was an absolute pleasure working with you, you were such a professional, and are truly amazing at what you do. I have been and will continue to recommend you to any brides I know. Wishing you all the best for 2018. There was no doubt that I was going to book shauna for my wedding as I heard nothing but great things about her and I was not disappointed . She looked after myself and my 2 bridesmaids , my mother in law and my two little nieces. I got married in Bellinter House and Shauna arrived on site to do our hair. Some of us had a pic of what we wanted and she got it exact and some were unsure so she offered advice on what would suit and it was perfect. The morning ran so smoothly and completely stress free . It was important for me to have someone friendly as I wanted a nice relaxing morning with all the ladies . She worked really well with my make up artist and everyone felt so comfortable and looked amazing . I would strongly recommend Hair by Shauna Lawlor for any special occassion. Shauna is a highly talented hairstylist, very professional and a genuinely friendly person. The trial was a great experience - she quickly understood what I wanted and I was really happy with the result. On the morning of the wedding Shauna was on time, gauged exactly what everyone wanted and got everyone ready with time to spare. She did a great job with everyone's hair. I can only highly recommend Shauna for your own wedding hairstyle. I just wanted to drop you a quick note to thank you for doing my hair for me and my bridesmaids for my wedding. I absolutely loved it and have got so many compliments on the day. It stayed in place all day even with the rain and all the dancing till 5am. 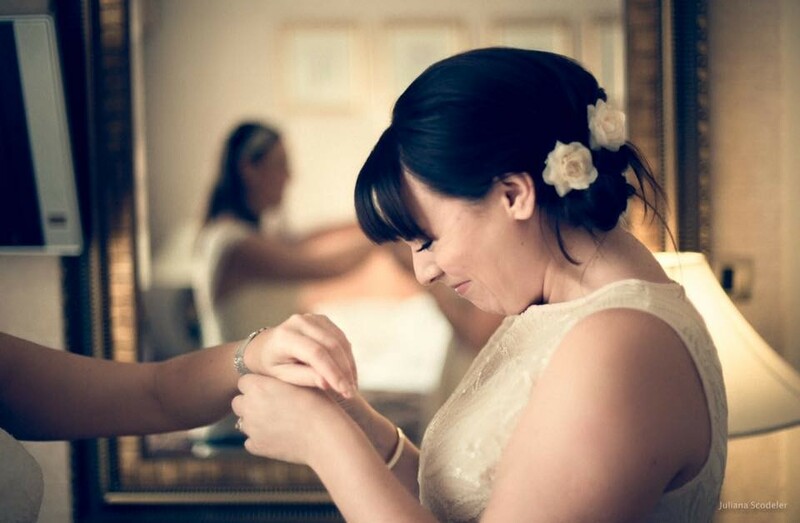 Shauna was the hair stylist for my wedding, looking after my bridesmaid, my mother, and me. She was fantastic - professional and relaxed. Aside from the great job she did on our hair, her presence on the morning of the wedding added to the atmosphere and the fun we had. I couldn't recommend Shauna highly enough. Shauna was absolutely wonderful. 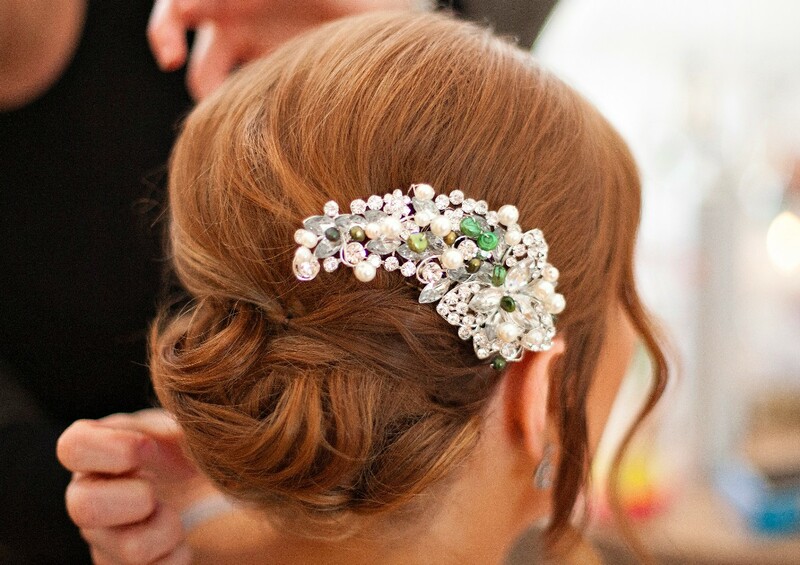 She is very creative and created styles that suited everyone in the bridal party. I was delighted with my up do. She listened to what I wanted and did exactly that. My bridesmaids weren't sure what they wanted but Shauna managed to compliment their styles perfectly. She also did my flower girls hair and it looked so cute. I decided at the last minute that I wanted flowers in my hair and she made a beautiful little spray of flowers on the spot to put in my hair. She was very warm, friendly and professional in the lead up to the wedding and on the day. She was lovely to have around while getting ready and played music on her phone to keep us chilled and relaxed. She is also very reasonably priced. 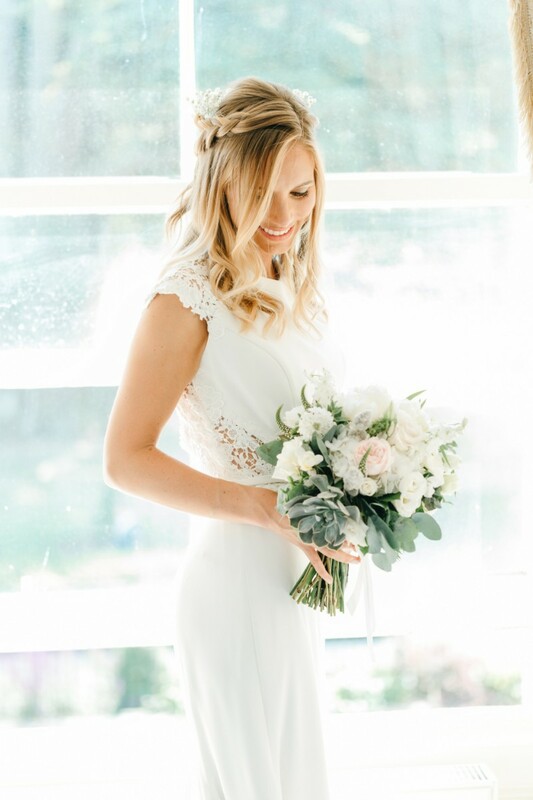 I would highly recommend her for wedding hair! 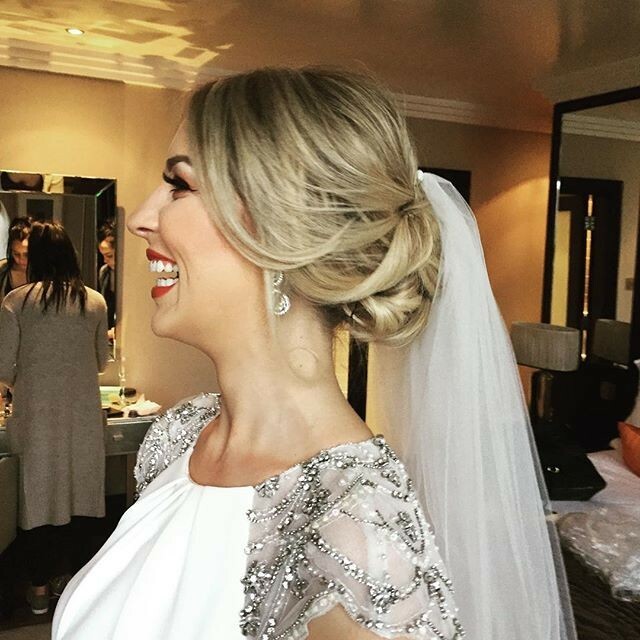 I was delighted that I chose Shauna to do my hair for my wedding. She was friendly, relaxed and professional and did a lovely job giving everyone a style that they were happy with. I arrived horribly late for my hair trial after getting lost on the way, but she put me at ease immediately and did not rush me out. I didn't really know what I wanted either but that wasn't a problem and I was delighted with the end results. 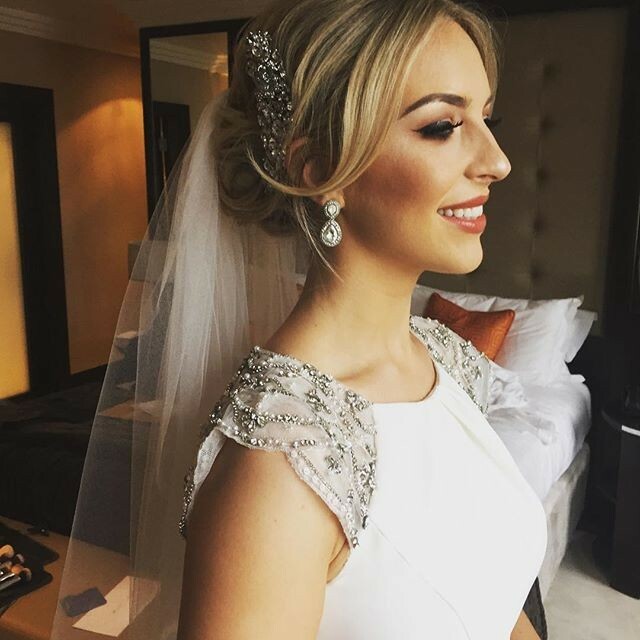 Would definitely recommend Shauna to any brides-to-be! From the moment I booked Shauna through this website, she came across as very professional, experienced and friendly and responded to my emails without delay. 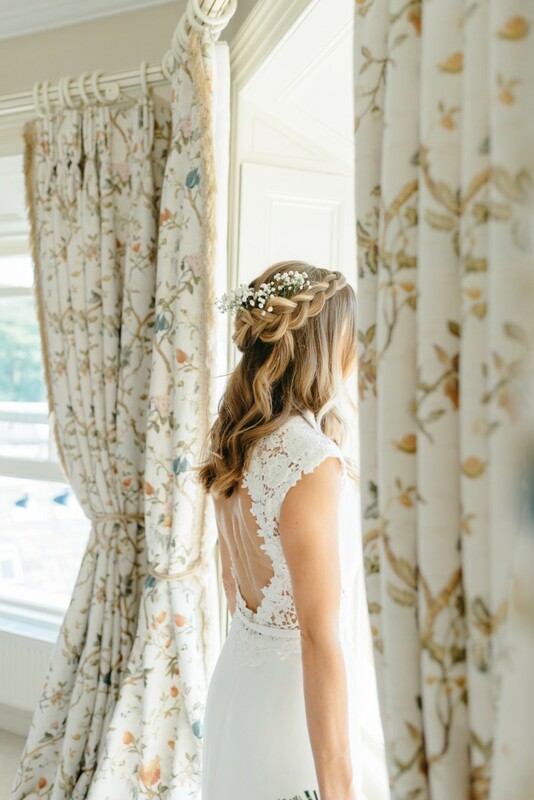 I had my hair trial about eight weeks before the wedding and I was delighted that after I told her my few ideas of how I would like my hair, she knew exactly the look I was going for. She is so professional, reliable and very talented. 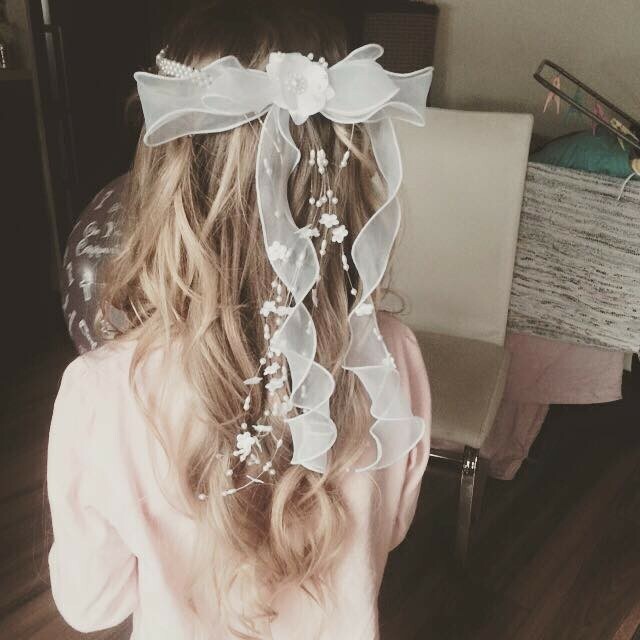 After my trial, I felt confident that Shauna would do a great job with my hair on the wedding day. 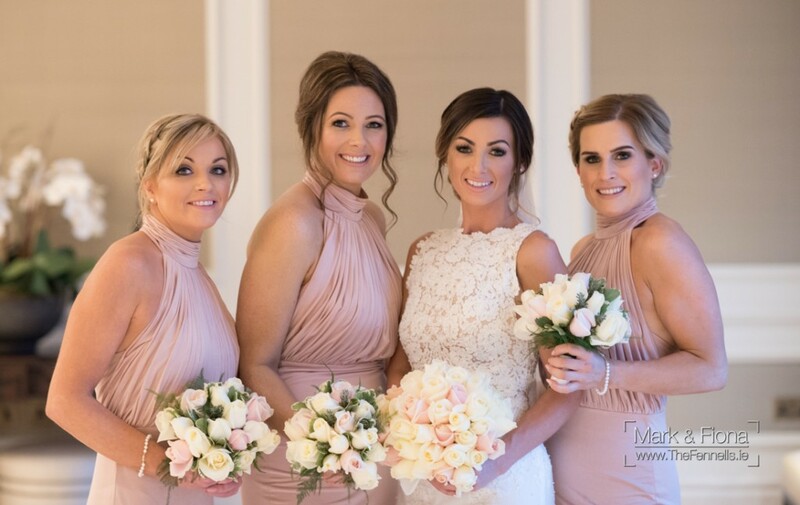 She is a lovely relaxed person and the wedding morning went so smoothly with Shauna doing my hair, my four bridesmaids and my mums hair with ease and no stress. Everyone was delighted with their looks and I couldn't have been happier with mine. I would highly recommend Shauna to other brides. Shauna was my hairdresser for my wedding. From the moment I contacted her I could tell how professional and friendly she was. At first I wasnt sure what style I wanted and Shauna was more than happy to do another trial. My mam and sisters were thrilled with theirs too. Shauna arrived on time and got to work straight away. If she wasnt doing hair, she was washing dishes!! I am so glad I chose her for my day and couldnt recommend her enough! Shauna was quick to reply, affordable, arrived on time and was very efficient on the day. She is really friendly and easy to chat to as she works on your hair. I wore my hair down and it held for the whole day and dancing -I was really happy with it. My sister and mum had up-do's and the look was really soft and also held for the entire day and night. Everyone was delighted. Would highly recommend. Shaua was my hairdresser for my wedding and what can I say, she was fantastic. I gave her an idea of what I wanted, she worked her magic on my trial and within minutes I had the style I wanted. On the morning of the wedding she arrived early like a breath of fresh air and calmed me down. 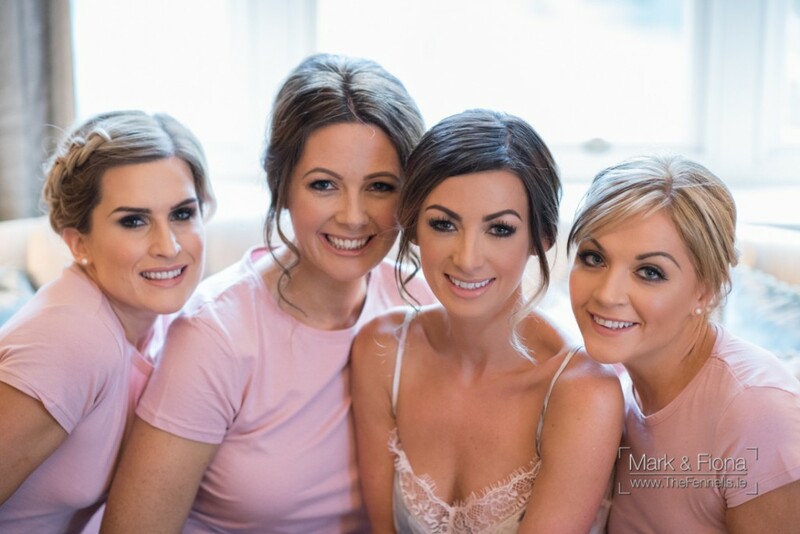 Myself, bridesmaids and Mam were all really happy with Shauna, I cant recommened her enough to any other brides. I found Shauna so professional, she worked with me to help me find the style I wanted for my hair and my bridesmaid. She made us all so comfortable on the morning of the wedding. She came to my venue she was punctual so friendly and made sure everything was perfect before she left. I honestly can't recommend her enough. Shauna was recommended to me by a friend, after I admired her wedding photos. The first time I met Shauna, I knew I had made the right decision. She was just wonderful, she listened to what I was looking for and helped me pick a style that suited me and my dress. 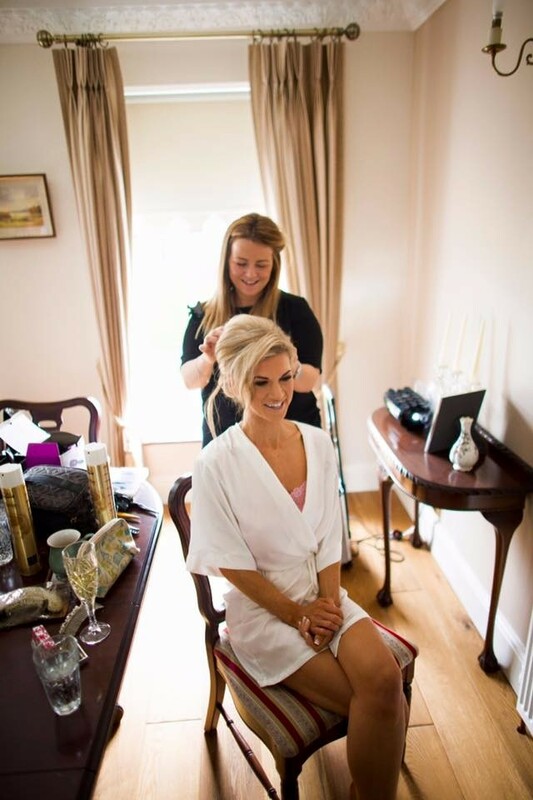 I felt so special on my wedding day, but the part I really loved about having Shauna do my hair, was that she was so friendly, calm and professional I felt like I had an old friend with me on my wedding morning. 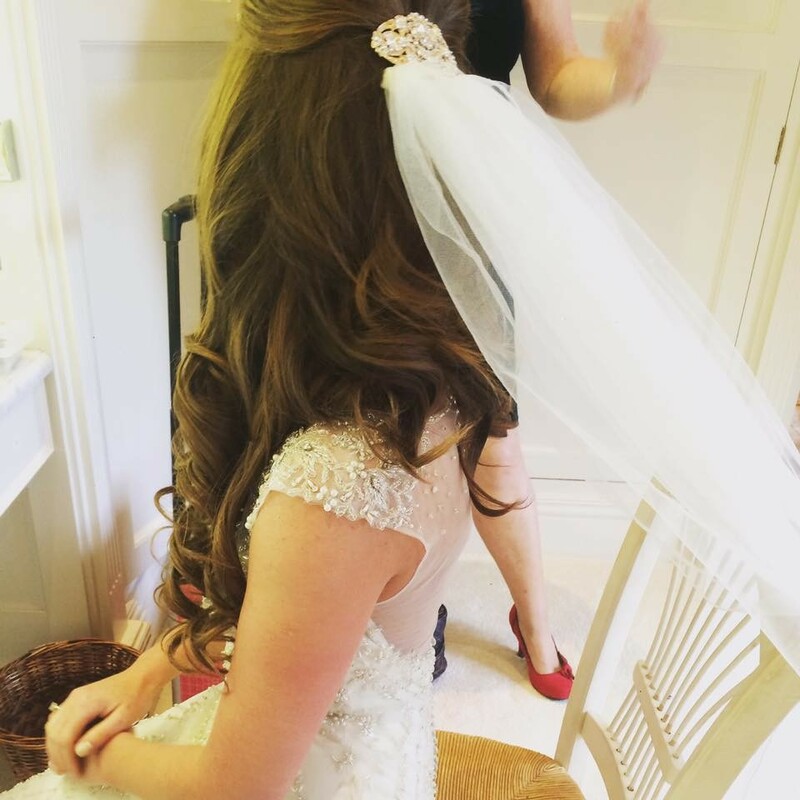 Thank you so much for my beautiful wedding hair Shauna! Shauna did an amazing job for my wedding. Her attention to detail is excellent. Shauna has a lovely manner and is so nice to deal with. I would highly recommend her. I found Shauna as she was recommended to me by my makeup artist. Shauna is very professional and lovely to work with. She did my hair, my 4 sister's and my two children on the day. She traveled to the venue, was on time and there was no panic - which made the preparations enjoyable and with no stress. And most importantly, I LOVED my hair, as did my sisters. It was just as I imagined it and exactly what I wanted. I would highly recommend Shauna to any bride. I would recommend Shauna in a heartbeat to all brides to be. I was bit worried about having so many strangers in the house that morning but from the minute Shauna walked in I knew I had been worried about nothing, she was such a laugh to have around. I was so happy with mine, my bridesmaids and my mams hair. We had a mixure of upstyles and down, all of which Shauna did effortlessly, and most importantly it lasted all day. 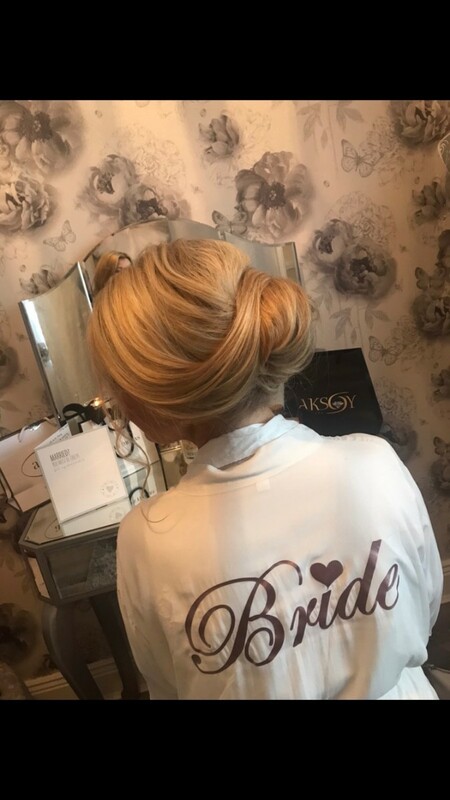 My wedding day was windy and raining and I did consider changing my hairstyle on the morning, Shauna chatted me through all the pros and cons in such a professional manner that I felt so reassured I was picking the right style and she was completely right! Thanks again Shauna. 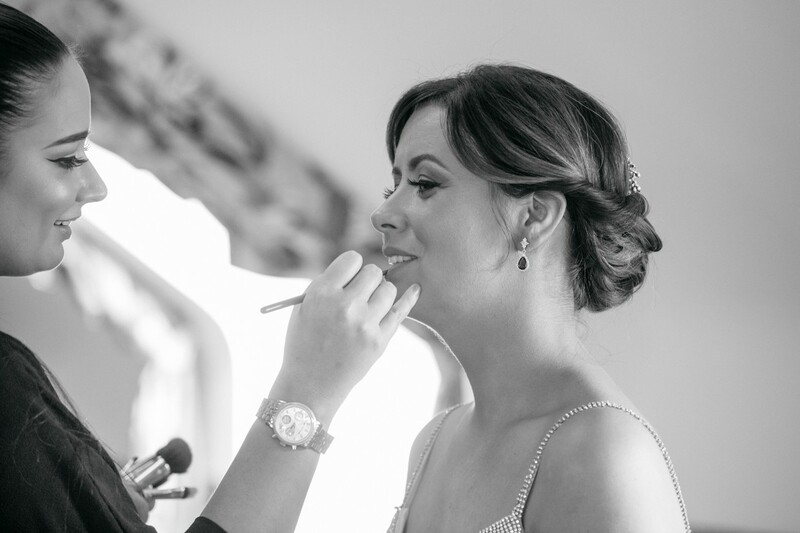 I was recommended Shauna through my make up artist and contacted her to arrange a trial. Shauna always responded to me promptly and efficiently She is very down to earth and easy to get on with. Like most brides I had about 10 different ideas of bridal hair style in mind and Shauna helped me narrow it down during the trial. Between the trial and my wedding day I changed my mind again and was able to explain to Shauna what I wanted. She understood and on the day she recreated exactly what was in my head. Both my mam and sister were delighted with their hair styles as well. 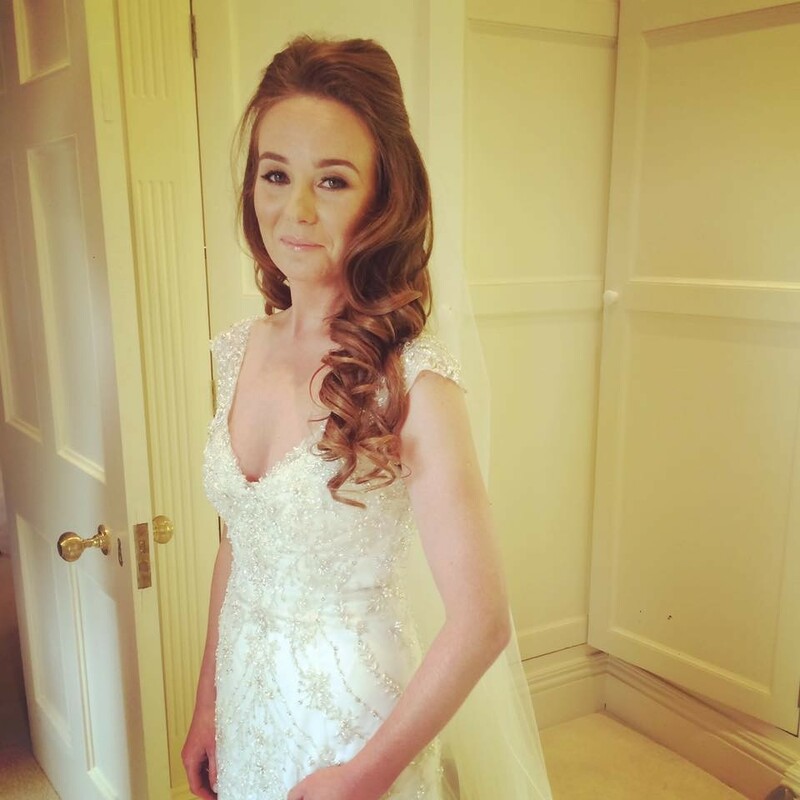 I would definitely recommend Shauna for bridal and bridal party hair. Shauna was amazing to deal with, my whole experience dealing with her was so positive. She was calm and professional on the morning of my wedding amidst the chaos of my house! 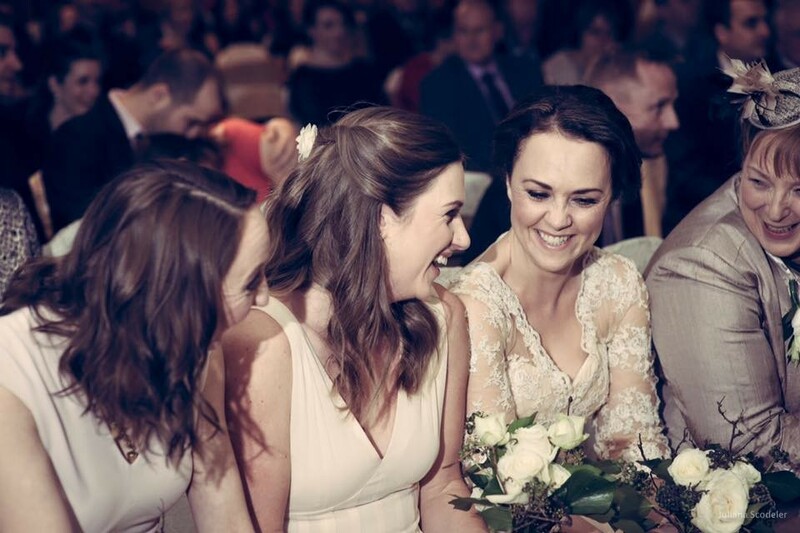 I was so happy with my hair as were my two bridesmaids, one of which was a picky teenager so high praise indeed! Our hair looked wonderful for the entire day. Shauna did my wedding hair last year. I could not speak any more highly of Shauna and her work. Her professionalism and her ability to interpret my vision was second to none. I really felt Shauna took the time to listen to what I wanted for myself and my bridemaids. I had so many different ideas for my hair and the brides maids (as all brides do) and Shauna was so patient with me and my indecisiveness. Everything from the trial to the morning of the wedding Shauna just made me feel relaxed and completely confident in getting my hair done. My mam and my bridesmaids were all so pleased with their hair too and there was not a pin out of place. 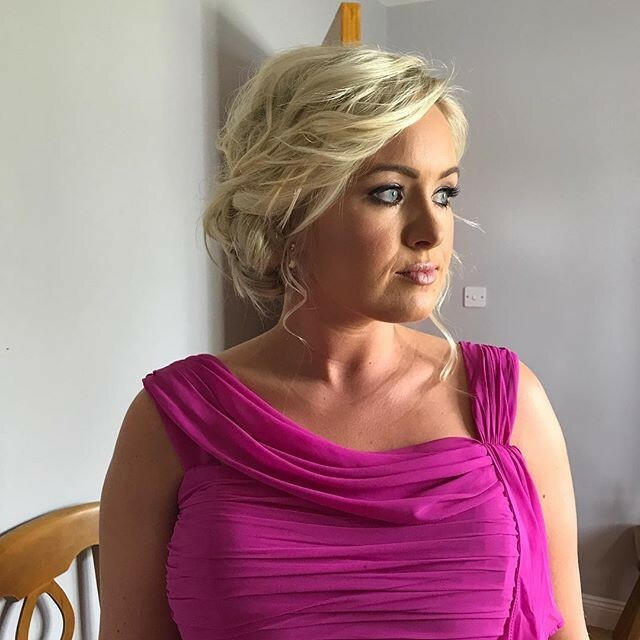 Especially when my mam wanted her hair up and would never ever have her hair up, Shauna listened not only to me but to what my mam wanted too and helped her and the girls feel their best on the day too. 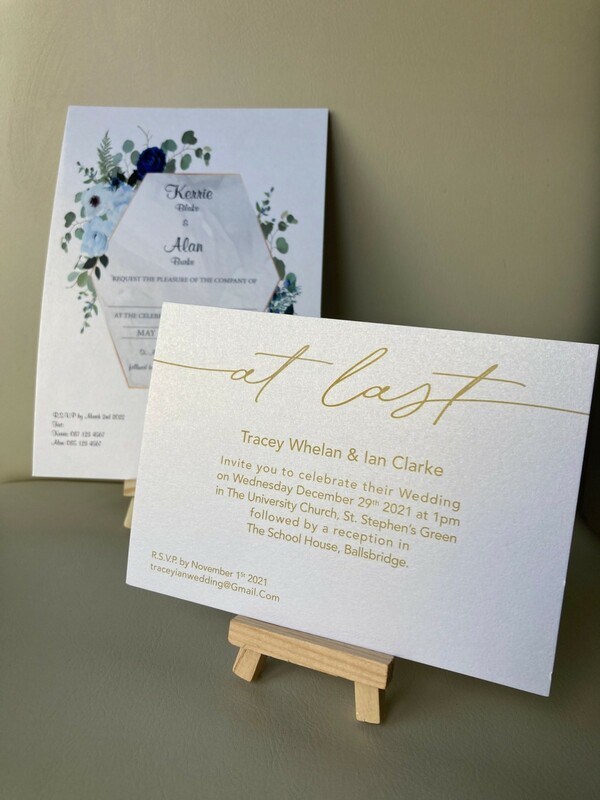 I would really recommend Shauna to anyone, she went above and beyond what I expected, her flexibility, calmness on the day and just her knowledge was unbelievable, there was nothing I felt she could not do. Thank you for all your hard work and being a part of and helping make my day so special. 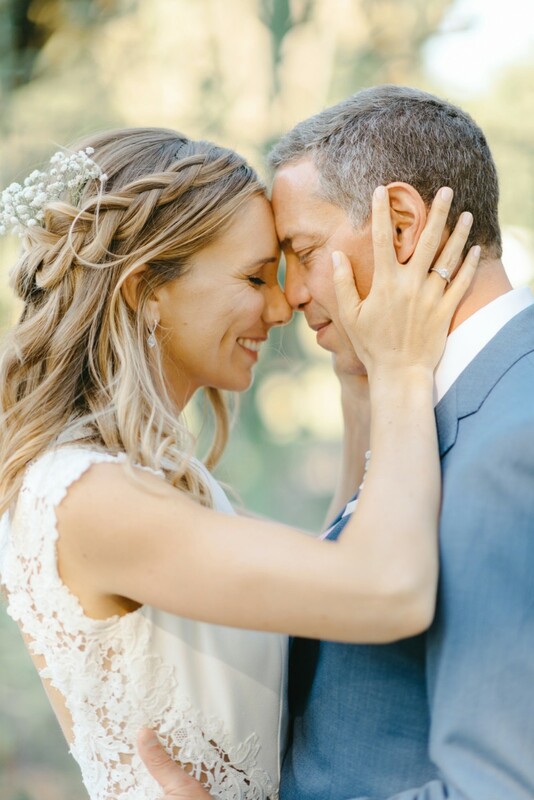 I started following Shauna's Facebook page after I got engaged and fell in love with her soft, natural-looking vintage upstyles. I knew I wanted her to do my hair on the big day. The day came sooner than expected. In May 2013 my mam was diagnosed with terminal cancer and, knowing my mam wouldn't want to miss the chance to see me walk up the aisle, we decided to pull together a wedding for the following month. Shauna was only too happy to oblige when I booked her to do my hair and spent time with me working through the best style for me. With just six days to go, my mam was deteriorating and it became clear she might not make it to the wedding. So on a Wednesday afternoon we found ourselves trying to figure out how we could rearrange everything to have the wedding the following day. I rang Shauna and she was only too happy to fit me and my bridesmaid in the following morning. To this day it amazes me that we managed to rearrange our wedding at a day's notice but the only reason it was possible was due to a small number of amazing people. Shauna was one of them and I'll always be grateful to her for it. My mam moved to the hospice the day after the wedding and died a few days later. 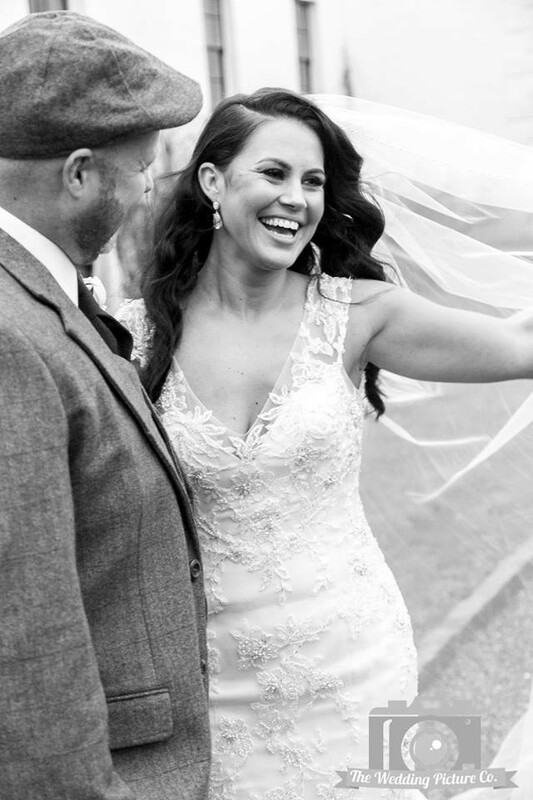 But the last time I saw her beaming smile was my wedding day and Shauna played a very special part in bringing that day together for us. To say she goes above and beyond in her job is an understatement. I'd recommend her to any bride in a heartbeat. I would highly recommend Shauna. I was so delighted with mine & my bridesmaids hair for my wedding. Exactly how I wanted my hair & done to perfection. Shauna was just great - professional, friendly and helpful. We had a great morning getting ready for the wedding. Thanks Jean for the lovely Review. It was definitely a fun filled morning!! Delighted your were happy with all your the Hairs. Shauna did my hair for my Wedding And she's absolutely fantastic,she's amazing at what she does !Shes a lovely girl,has great ideas and very professional and reliable ! !wouldnt think twice about recommending her. Hi Fiona, Thank you for the review.